Centrally located10 minutes from Bracebridge Port Carling and Windemere on 3 Mile Lake. The cottage has all the amenities of home. There are two big screen Tvs. One in the finished walkout basement with a games room provided for entertainment. There is a dishwasher microwave Napolean BBQ. 10X40 cedar deck and full complete pine kitchen. We have 3 bedrooms upstairs with 2 solid queen beds and a solid king pine bed in the master bedroom. Downstairs there is a solid pine queen bed for extra company. After dinner watch the sunset over the lake and enjoy an evening fire with the kids by the lakeside fire pit with marsh mellows. Dont want to cook? 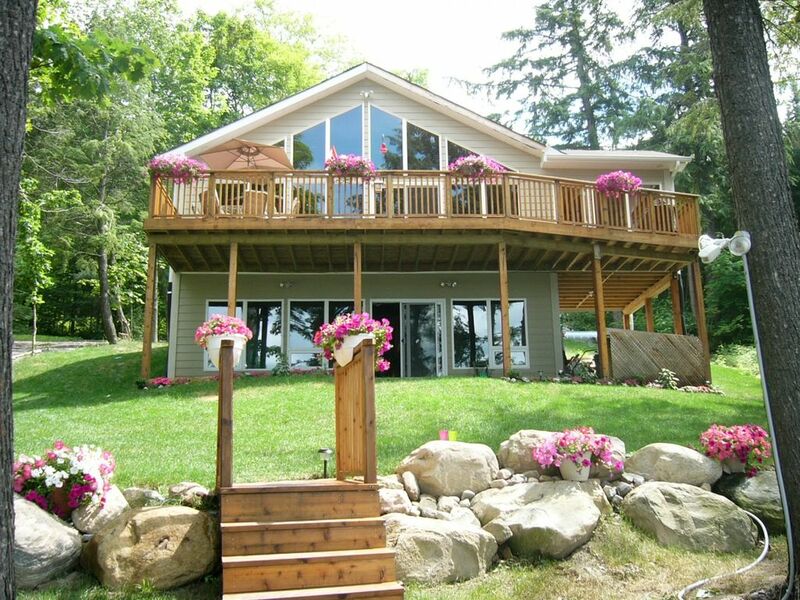 Enjoy one of the many waterfront restaurants in near by Port Carling or Windemere. There is a beautiful 10 X10 screened in porch of the main dining area for late night enjoyment.